Face shields protect the face from many hazards but are not meant as a replacement or substitute for safety glasses. Hearing protection comes in two main types--ear plugs worn inside and ear muffs worn outside. Here we see ear plugs being inserted. 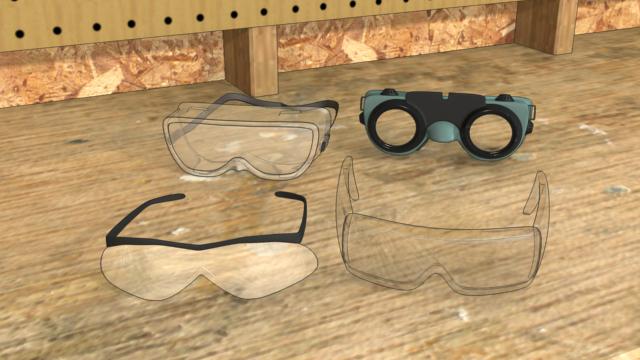 There are various types of safety glasses, each designed to protect against specific types of hazards. This course is intended for Canadian-based companies and individuals and meets Canadian regulations. Every day, someone decides to give up their sight, hearing, fingers, toes, or worse to save a few seconds of effort. Sure it can be inconvenient and uncomfortable, but using personal protective equipment (PPE) properly is better than many unfortunate alternatives. Use this course to educate yourself and your team on head protection, eye and face protection, hand protection, foot protection, respiratory protection, and hearing protection. What is a hard hat? Hard hats provide protection from the impact and penetration of falling or moving objects. There are two main categories of hard hats, Type I and Type II, and each type is divided into three classes. Type I and Type II specification protect from impacts to the top of the head. Type II specification is newer and provides additional protection from impacts at the front, sides, and back. What are examples of eye protection? Eye protection includes but is not limited to safety lenses, safety glasses, goggles, and welding goggles. What does eyewear have to do to be considered safety glasses? In order to qualify as safety glasses, eyewear must have side-impact protection and meet the CSA standard for impact protection and shatter resistance. Eyewear that meets this standard will have "CSA Z94.3.1" printed or stamped on it. Face shields are not a direct substitute for eye protection. They are intended to help protect the face area from harmful dust, debris, and liquid. Some chemicals and certain operations call for wearing safety glasses or goggles in combination with a face shield. How is hand protection chosen? Hand protection is made of various materials. Always select the correct type of hand protection by matching it to the anticipated hazard. What do safety shoes have to include in Canada? Footwear must have impact-resistance, compression-resistance, metatarsal-impact protection, conductive properties to reduce static electricity, electric hazard protection, static dissipative properties, and puncture resistance. When is respiratory protection necessary? Respiratory protection is imperative for employees working in areas lacking sufficient oxygen, as well as in areas that have the presence of any atmospheric contaminants that inhibit respiratory functions. This can include dust, smoke, gas, vapor, sprays, or mists. Without respiratory protection, these health hazards can possibly lead to cancer, lung impairment, disease, or even death. What are two types of hearing protection? Hearing protection includes ear plugs worn inside the ear and ear muffs worn over the ears. In some cases, people wear both at the same time. 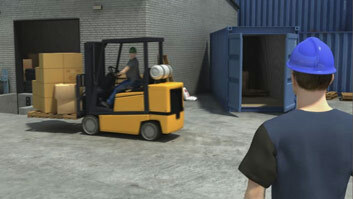 What is body protective clothing? 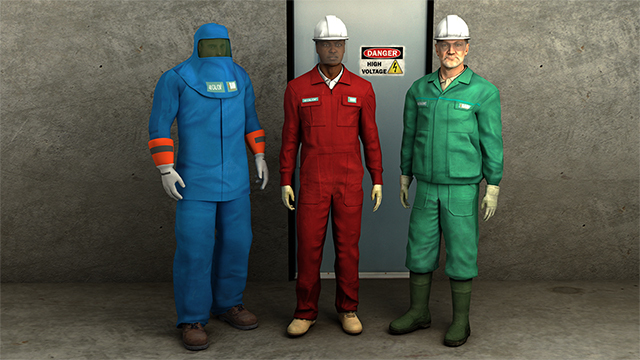 Body protective clothing provides exposure protection from many different hazards, including chemical liquids, molten metals, dust, gases and vapors, and extreme temperatures. 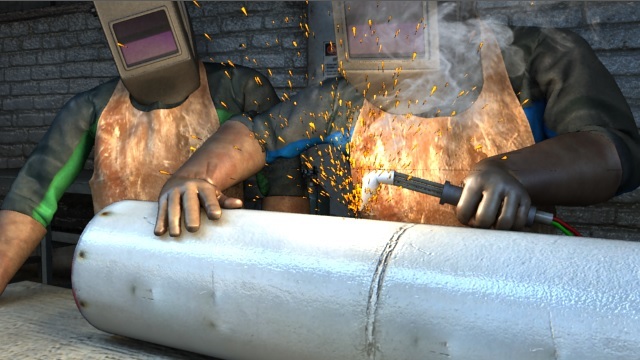 Examples of body protective clothing include disposable suits, chemical protective suits, chemical protective aprons, welding apron, and heat-resistant turnout gear. PPE must fit properly to provide effective protection. It should also be comfortable and allow for freedom of movement. 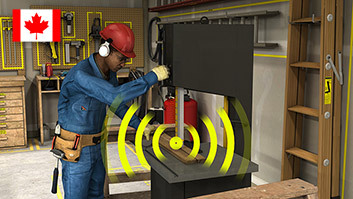 For example, hard hats should allow sufficient clearance between the shell and suspension system for ventilation and the distribution of an impact. 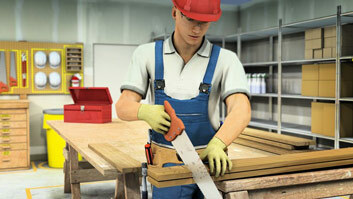 The suspension system should also not irritate the skin or allow the hard hat to bind, slip, or fall off. Always inspect your PPE before use and never use defective or damaged equipment. 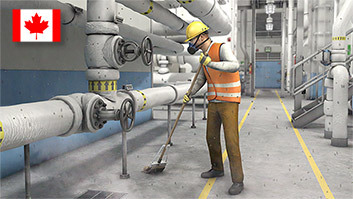 Carefully select the most effective PPE based on the environment in which you will be working. When PPE allows for accessories, those accessories must not compromise the protective function of the PPE. For example, mounting earmuffs, face shields, or headlamps to a hard hat should not interfere with fit, ventilation, or impact protection. This training will cover the various types of PPE and the limitations of each type.